RALEIGH, NC (WBTV) - On the fourth day of the North Carolina State Board of Elections hearing, the board voted unanimously to hold a new election in the 9th District. Prior to the vote, Republican Mark Harris called for a new election. The hearing began Monday morning to begin publicly disclosing evidence into a months-long investigation into alleged election fraud in the 9th District. The investigation began in late November after the NCSBE voted to not certify the results of the 9th Congressional District race where Republican Mark Harris led Democrat Dan McCready by 905 votes after the November general election. Members of the NCSBE received a private briefing from staff about the findings of the investigation at a meeting in early February. The board that planned to preside over the hearing and determine whether to certify the results of the race or hold a new election is not the same board that voted to launch the investigation in November. In December, a three-judge panel ordered the then-NCSBE to dissolve, finding that the bill creating that version of the elections board was unconstitutional. There was no elections board for the month of January. Governor Roy Cooper appointed the current five-member board, made up of three Democrats and two Republicans, on January 31, 2019, under the terms of a law passed by the North Carolina General Assembly in response to the court order. More than 80 people have been subpoenaed for the hearing. 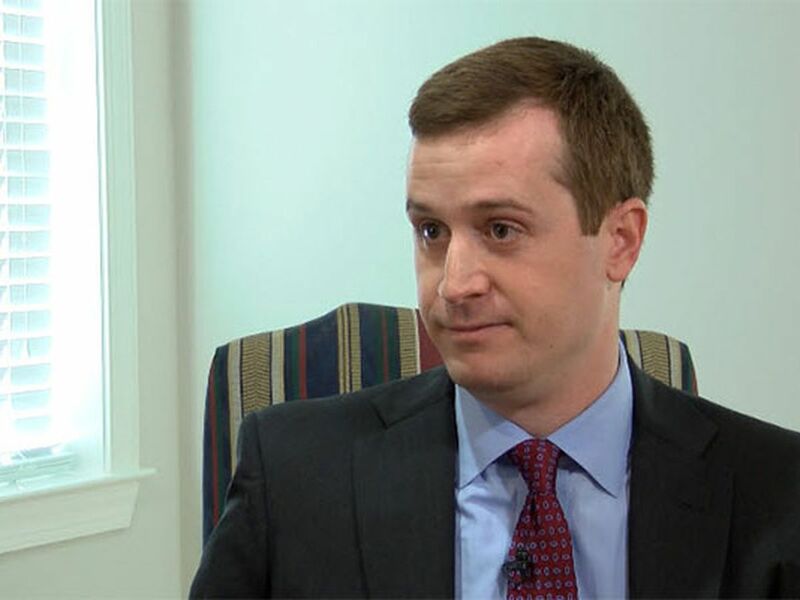 4:30 p.m. Dan McCready tweets in reaction to the vote for a new election. 3:50 p.m. NCSBE chair Bob Cordle makes motion to call for new election in NC9 district. “I believe the people of North Carolina deserve a fair election. Deserve their votes counted properly," Cordle said. 3:30 p.m. A man from Robeson County testifies about seeing open absentee ballots at the county BOE on election night. 3:15 p.m. Elias’ motions are denied. Elias also moves for the board to vote to hold a new election. 3:00 p.m. State board admitted a number of exhibits after Harris left the room. Elias is offering exhibits they would like to offer into evidence. Harris’s statement came just as the hearing came back into session after a break for lunch and closed session. After making the statement, Harris and his wife left the building without answering any questions from reporters. Harris’ lawyers remained in the chamber and the hearing commenced. 12:45 p.m.: After Harris is briefly questioned by Elias, hearing is recessed for lunch at Freedman’s request. 12:30 p.m.: Carmon asks Harris about discrepancies between his public statements that nobody gave him warning about Dowless with clear warnings from his son. “I guess the question I have to ask that I did not want to ask: you just wanted to win,” Carmon says. 12:15 p.m.: Board member Anderson asks Mark Harris if he accepted Dowless’ claim of this investigation being a setup? “At that point I knew nothing,” Harris says. Anderson asks if Dowless mentioned Josh Malcolm or Jens Lutz in his claim of a setup. Harris says he doesn’t think so. “Dr. Harris, you now understand this investigation was not set up?” Cordle asks. Harris says he understands. Cordle reiterates the investigation was reiterated by staff. 11:45 a.m.: Hearing reconvenes. Strach asks Harris if he ever asked Dowless about ballots coming into BOE in batches. Harris says no but that he asked Yates to reiterate to Dowless to make sure his workers knew the rules. 11:15 a.m.: Strach asks Harris if he was surprised by amount of money his campaign paid Dowless in total (roughly $130,000). Previously, Harris says he’d estimated about $60,000-$70,000 in an interview with NCSBE. Harris says he was disappointed with himself when he saw the total number that he didn’t realize Dowless had been paid so much by the campaign and he didn’t realize it. 10:45 a.m.: Strach asks Harris if he called any of the elected officials to ask if McCrae Dowless was collecting ballots. Harris says McCrae had been so clear he didn’t think it was necessary to call those officials back to ask about whether Dowless was collecting ballots. 10:30 a.m.: Strach puts up an email from John Harris to Mark Harris and asks “What question did this email with the statute answer for you?” Harris says he asked his son to let him know if the program would be within the legal realm. Mark Harris says he asked his son for legal specifics because he wasn’t very familiar with absentee ballots. 10:15 a.m.: Harris is offering explanation for a meeting he first described in an interview to WBTV’s Nick Ochsner in mid-December. Here’s what he said then. 10:12 a.m.: Mark Harris takes the stand. 10:05 a.m.: We’re back in session. Elias is handing up three press releases from the Harris Campaign during the investigation that each say the campaign was producing records and notes Jason Williams was listed as the contact with campaign email address. 9:45 a.m.: Cordle says it’s troubling the Harris Committee didn’t even search the campaign manager’s emails. Then says they’ll consider later. Now taking break for lawyers to regroup and review new records. 9:30 a.m.: Elias now speaking. He says he has had nothing but open and transparent dealings with Freedman/Dale (Harris personal lawyers) but not with the committee: “It has been documented time and time again that the committee has failed to meet its discovery obligations to this tribunal.” Elias asks the board to find formal negative inference from the committee’s withholding these communications. 9:15 a.m.: The attorney for the Mark Harris campaign is defending why they didn’t turn over emails or records from the pre-committee before John Harris was announced as a witness. The board members are holding his feet to the fire. 9:08 a.m.: Hearing getting underway on day four. State board attorney Josh Lawson says they had pushed back against legal theory that the timeline for production for Harris’ campaign was in July 2017 (before the committee was formed). 5:00 p.m.: In closing, John Harris says, “I love my dad and I love my mom. I certainly have no vendetta against them. No scores to settle. I think that they made mistakes in this process and they certainly did things differently than I’d have done them.” “Coming out of this process, we have got to come up with a better way to do this," John Harris says. 4:45 p.m.: John Harris says he saw his dad when he was in the hospital last month and talked to his parents surrounding his recent illness. John Harris says his dad didn’t tell them he’d been subpoena’d. 4:30 p.m.: Looking at ‘18 primary numbers for Bladen Co, John Harris thinks Harris ABM returns are “disproportionally high.” Elias asks John Harris if the ‘18 primary results were equally as suspicious as the results from ‘16 primary. “Same problem in 2018,” John Harris says. 4:15 p.m.: John Harris says he didn’t know Dowless was being paid for every ballot request form he requested and he also didn’t know Yates wasn’t keeping detailed records regarding payments to Dowless. 4:10 p.m.: Hearing has reconvened. Chair Cordle says the break was longer than planned because they “had some legal matters to discuss,” without elaborating. 3:30 p.m.: Elias asked John Harris if he reminded his dad in the 4/7/17 call that he had concluded what Dowless did in ‘16 primary for Johnson was probably illegal. John Harris says yes. 3:15 p.m.: John Harris says ABM data from ‘16 Bladen primary showed higher-than-expected numbers of African American voters. Elias asks John Harris if he thought that “fraud” had occurred in the ‘16 R primary in Bladen. John Harris says he thinks there was illegal ballot collecting but says that’s not a fraud statute. 2:45 p.m. Strach puts up an email from John Harris to Mark Harris, sent 4/7/17 with subject line: “election law.” John Harris says it was a follow-up to a phone call with his dad. John Harris says he sent the email to reiterate what the law says related to absentee ballots. He says he later forwarded the email to his mom, too. 2:30 p.m. An email John Harris sent his parents late on the night of the ‘16 primary is reviewed. Email subject line reads “anomalous voting in Bladen County." “The absentee by mail votes look really strange,” John Harris wrote to his parents. Dowless worked for Todd Johnson in ‘16. Johnson got almost all ABM votes in the ‘16 Republican primary. 2:15 p.m.: John Harris says he acted as a sounding board for his parents in the ‘16 campaign, while he was a federal law clerk in DC. In a discussion with Yates, John Harris says he expressed concerns about Dowless. “Seems to me he may be kind of a shady character,” John Harris says he told Yates. 2:00 p.m.: NCSBE calls John Harris, Mark Harris’ son. Strach asked questions that indicated John Harris had concerns about Dowless’ operation and expressed them to Yates. 1:00 p.m.: Hearing breaks for lunch. Expected to re-convene at 2 p.m.
12:50 p.m.: Strach shows a blown-up photo taken of Dowless inside his home. Strach points out Dowless has a copy of a flyer sent by NCSBE to Bladen County voters telling them to not give their absentee ballots for people to turn in. Strach asks if he ever talked about it. Yates says no. Strach asks Yates about a call where Harris’ son, John, expressed concerns to Yates about Dowless’ activities. Yates says he doesn’t recall John Harris ever raising such concerns. 12:45 p.m.: NCSBE attorney Love asks about payments from Yates to Dowless in 2017, and if it would surprise Yates to learn a low number of absentee ballot request forms were actually submitted by Dowless in 2017, equaling more than $50/request form. Yates says that would surprise him, but points out Dowless had other expenses. Love asks Yates if he has any documents to support the number of request form Dowless was paid for collecting. Yates says no. 12:15 p.m.: Attorney Bill Gilkeson, who represents the other Robeson County judicial candidate, asks Yates if the portion of Robeson County targeted by Harris campaign (which overlapped with HD-46) was chosen based on its demographics - higher white and lower minority populations. Yates says no. 12:00 p.m.: Board questions end. Attorney for Bladen judicial candidate Jack Moody asks questions seeking clarity on how money went from the Harris campaign to Yates’ firm to Dowless. Yates said he had “very little” oversight of Dowless’ activities in the 2018 campaign. 11:40 a.m.: Following a break, Dale asks Yates why a grassroots operation was important in Bladen County. Yates explains because the TV market that covers most of District 9 (Charlotte) doesn’t reach Bladen. Dale asks if Harris knowing Dowless’ workers were just witnessing ballots was itself indicative of wrongdoing. Yates says he doesn’t believe so. “McCrae Dowless pulled the wool over the eyes of a lot of people?” Dale asks Yates. “That’s what it appears,” Dale says. Before that, Dale has Yates list through the candidates Dowless said he’d previously worked for, including Republicans and Democrats. Dale questions end, Board begins questioning Yates. 11:15 a.m.: Yates says Hurricane Florence (which hit September before the election) had impacts on BOE offices closing and people not receiving their absentee ballots. 11:00 a.m.: A debate breaks out between Dale, Cordle, Elias and Freedman over what the BCIAP finance report shows. 10:30 a.m.: Harris’ attorney, Alex Dale, asks Yates to look at ‘16 hearing transcript, aking Yates if he understands what Dowless took the Fifth on. Yates says it appears it was related to who gave him campaign finance reports, not about ballots. 10:20 a.m.: Elias asks Yates if he heard testimony about early vote totals potentially being leaked. Yates says he was only aware from news reports after the election wasn’t certified. 10:00 a.m.: Elias points to statements made by Harris about his understanding of Dowless’ absentee ballot program, pointing to a portion of WBTV’s interview where Harris took note of the results of the Republican candidate who over-performed in the ‘16 primary in Bladen County. 9:35 a.m.: Elias now asking Yates about a This American Life program that featured Dowless. Yates says he wasn’t aware of that episode and doesn’t generally listen to NPR. The chairman interrupts the questioning to point out that NCGOP Executive Director Dallas Woodhouse is quoted multiple times in the same transcript. Then asks if Woodhouse ever discussed the topic with Yates. Yates says no he did not. 9:15 a.m.: Andy Yates starts off on the stand. McCready’s attorney Marc Elias is continuing questioning from yesterday. Elias asks about Google search Yates did of Dowless before meeting with him. Yates says he found several misdemeanor charges from 20+ years ago. Elias now putting forward an Associated Press article where Harris asserted a background check had missed Dowless’ felony conviction. “I didn’t do a criminal background check. I did a Google search” Yates says. Elias now asking if Yates thinks it was fair for Harris to have said a consultant ran a background check. Harris attorney objects and that’s sustained. 5:30 p.m.: Questioning ends for the day. The hearing is scheduled to re-convene at 9:15 a.m. Wednesday. Yates says he knew Dowless didn’t immediately turn in all the absentee ballot request forms because he was afraid competitors would be able to build a competing effort. He said he didn’t challenge it because it had been agreed upon between Harris and Dowless. Yates follows up to say he didn’t know if Dowless and Harris has specifically discussed the withholding of request forms. When asked what his goal/expectation was for Bladen County in the 2018 general election, Yates responds by saying he hoped to roughly match the total President Trump pulled from the NC-9 portion of Bladen in the 2016 presidential race. Yates says he thinks it looks odd that Harris got fewer absentee votes in the primary than in the general election. 4:40 p.m.: Yates tells Marc Elias that if Harris knew of Dowless’ criminal background, it would make him question Harris. Says he doesn’t believe Harris knew and says if Harris did, he would’ve shared it with Yates. Yates says Dowless told him he never witnessed a ballot being cast and that he knew that would be illegal. Yates reiterates that Harris had a direct relationship with Dowless and defined scope of work Dowless did for campaign before Red Dome was hired. 4:00 p.m.: After short recess, Marc Elias is asking questions of Andy Yates. Elias asks Yates if he knew how Harris came to know Dowless. Yates says he believed through Judge Marion Warren, a former local judge who has run the NCAOC for the past few years. He’s now headed to a new job next month. Yates says he knew of something following ‘16 election but didn’t pay close attention. Said none of his clients had any recounts. 3:35 p.m.: NCSBE Chief Investigator asks Yates what he knew about Dowless’ criminal record. Says just what he knew from Harris telling him he had “minor criminal issues related to a divorce 20 years ago or more.” Yates says it would change his opinion if working with Dowless bad he known of a conviction for a crime of truthfulness. 3:15 p.m.: Yates says Dowless would ask him regularly to get updates from BOE about the number of absentee ballots being sent and returned in Bladen and other counties in NC 9th District. Strach puts up text message exchange between Yates and Dowless. Yates sent a link to Dowless about absentee ballots being seized by NCSBE. Yates says Dowless told him that he’d done nothing wrong any any allegations against him would’ve been made up by political rivals. Yates says he cut off all contact w/ Dowless after he realized how serious the allegations were. Strach puts up email between Yates and Harris’ wife, Beth. Yates’ email includes an estimate of how many of the absentee ballot requests in Robeson County came from folks submitted by Dowless. 2:45 p.m.: Strach asks Yates if he was aware Dowless was paying people to collect ballots in the ‘18 election “I was shocked and disturbed that that appears it was not the case.” Says he would’ve cut off all contact w/ Dowless if he’s learned of it. “After what I heard yesterday, frankly, I don’t know what to believe from what Mr. Dowless told me” Yates says of whether he believes Dowless was illegally harvesting absentee ballots. “Never has any indication. Never had the first suspicious” Dowless was paying people to collect ballots. In a fiery answer, Yates says he would’ve called the NCSBE if he’d learned of that behavior and would’ve told the Harris campaign and quit if Harris hadn’t fired him. “He sounded like somebody who knew the law very well. Sounded like somebody who kept good records and was very organized” Yates says. 2:00 p.m.: NCSBE calls Andy Yates, whose firm, Red Dome, employed McCrae Dowless. Yates has taken the stand. The chairman has excused him from the subpoena and he is free to go. Despite that, he has remained on the stand. He has two lawyers present for his testimony. Strach asks Yates if he’s worked on previous campaigns that had an absentee ballot program. She then asks if he’s ever known a campaign to pay based on the # of absentee ballots/request forms collected. He says not to his knowledge. Yates says Dowless made $1,200/mo during primary and (I think) $1,600/mo in the general. Also paid $4 per absentee ballot request form for primary and $5 per form in general. Yates says the per-form payment was to cover costs of workers. Yates says he’d never heard Dowless’ name prior to Harris mentioning it to him. Yates says Dowless told him that he had a good relationship w/ the members of the Bladen BOE, that they knew his program and was comfortable with his program. Later says Dowless would say he had talked w/ staff & BOE members during campaign. 12:30 p.m.: Mitchell Edwards is now back on the stand, since the tape is in the room. Strach is questioning him about how he unrolled the tape and how he came to see the results of the sheriff’s race. Edwards says he signed it and “backed off” for Willis and Maultsby to sign the tape. Said they signed right after him. But that’s not what Willis said in testimony. Strach asks Edwards if he heard Tojie King make any remarks about the tape, as Willis testified. He said he didn’t. 12:00 p.m.: After a brief recess the hearing resumes with Agnes Willis. Strach now asking questions of Willis about ballots she witnessed. Puts up one ballot in the screen that she witnessed. Willis says she witnessed leased than a dozen ballots at the request of a friend involved in an absentee ballot effort. Said most of the ballots she witnessed were for her neighbors. Board members ask Willis about the “zero tape," which is run at the start of an election and is typically connected (according to board member Anderson) to the results tape. That wasn’t done here. 11:20 a.m.: Freedman begins questioning Willis, asking about her affidavit and how it came about. “That is a good question. I don’t know the answer to that to this day,” Willis responds. The lawyer who filed the affidavit is identified as Matt Dixon, a Bladen County lawyer. Willis says Dixon called her and asked her to come to his office, to which she replied she could be there in an hour. She says Dixon then said he’d come to her house instead and that he showed up within an hour with a notary and the pre-filled affidavit - part in type and part hand-written. "He seemed to be just as a little bit confused as I was,” Willis says. She says Dixon made several phone calls from her dining room table. Willis says the handwriting on the affidavit is not hers. She says Dixon filled out the affidavit but it “pretty much” reflects what she told him. She says nobody has questioned her about the affidavit. She says Dixon never said who he was at her house on behalf of, but that he said “I assure you I’m a Democrat.” Willis says Dixon didn’t tell her what he was going to do with her affidavit. 10:45 a.m.: Agnes Willis, who submitted the affidavit regarding someone viewing the early voting totals, takes the stand. Willis was also listed as a judge on the same early voting shift as Edwards and Maultsby. Like the first two, she also doesn’t know who Sakeeta Washington is. Washington was listed on the roster for that early voting shift. Willis says the only person in the room who wasn’t looking at the tape was Maultsby because she was doing other things. She says the workers were looking at the sheriff’s race and not other races. Willis says she’s not aware of anyone sharing the early voting results they saw with anyone. She says she didn’t share them. She adds that she felt something wrong had happened. "I don’t think nobody should be looking at these numbers,” she said of the sheriff’s race, which she said was a big deal in the 2018 election. 10:30 a.m.: Elias begins questioning Edwards, walking through the results tape. Elias points out that the sheriff’s race was “smack dab in the middle” of the tape. “If you didn’t flatten it out, how would you have come across the sheriff’s race without unrolling it?” Elias asks. Edwards says he flattened the tape enough to sign it and that he didn’t go looking for the sheriff’s race results but happened to see it and it caught his interest. The physical tape is requested and the staff begins working to bring it into the room. 10:20 a.m.: The next witness, Mitchell Edwards, (who Maultsby just testified actually turned the key to run the tape of early voting totals) is called to the stand. Edwards says he ran the tape, rolled it out to sign it, then the second person signed it and then Maultsby. He says he only rolled out the part of the tape that he needed to sign. Edwards says he looked at the results of the sheriff’s race. “I just happened to spot that and that’s the only one I recall,” he said. He says he didn’t look at the results from any congressional race. He said he never told anyone the results of the sheriff’s race. “Do you now recognize that’s not how we do it? That we don’t run the tape at the end of the night?” Strach asks. “I haven’t been told that,” Edwards replies. 10:10 a.m.: Mark Harris attorney David Freedman begins questioning Maultsby, first looking at a list of poll workers and pointing out all staff who were Democrat or unaffiliated. Maultsby says the tape was still rolled up when she went to sign it, and that she had no indication that anyone viewed the tape, rolled it out or did anything suspicious. She says Mitchell Edwards, a precinct judge, ran the tape. She says she saw him turn the key but not run the tape. 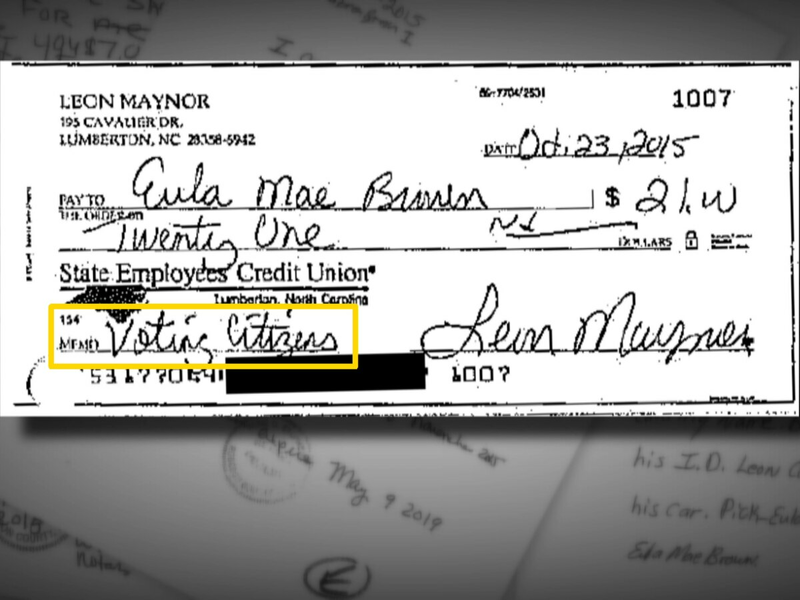 The tape, Maultsby says, didn’t return until after she counted the unused ballots. “There were no officials there, no,” Maultsby says when asked by Freedman whether anyone was in the room to view the tape. Maultsby says she didn’t know the early vote totals weren’t supposed to be run the way they had been until she was told by NCSBE staff. 10:00 a.m.: Strach concludes her questions. Dan McCready attorney Marc Elias begins questioning Maultsby, beginning with how long it took between polls closing and the tape (which shows the results) to be run. It appears the tape was run around 1:45 p.m.
Elias asks Maultsby about the conversation she had with the BOE Director regarding the early vote totals leaking. “She questioned me about it. She fired me up about it,” Maultsby responds. Elias trying to clarify whether she was asking if it leaked or if she asked who leaked. 9:30 a.m.: The hearing re-convenes. Michele Maultsby is the first witness called. 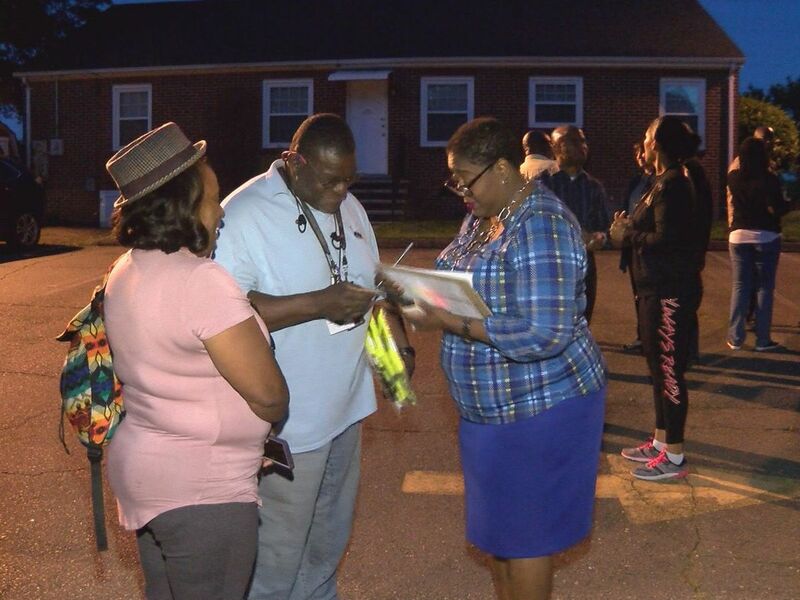 Maultsby is a poll worker and was the Chief Judge at the Bladen County early voting site where there have been questions surrounding the early release of vote totals. NCSBE Director Kim Strach leads the questioning, walking Maultsby through procedures for closing the early voting site. Maultsby says two precinct workers said they wanted to know the early voting totals as she walked into the polling location on the Saturday in question - the day before Election Day and the final day of early voting. Maultsby says she doesn’t believe it’s proper to look at the results. “Not on my watch,” Maultsby says when asked if anyone was able to see the early voting totals. She says the then-BOE Director asked her if the totals had leaked out. She said no. 5:45 p.m.: Board has reconvened. Dowless will not receive immunity if he testifies. Dowless is not taking the stand. Hearing wraps for the day. 5:40 p.m.: McCrae Dowless has been called as a witness. Dowless’ attorney said he will testify if he receives immunity as contemplated under the statute. Says otherwise he will not take stand. McCready attorney Elias says he should take stand to invoke 5thA. Board conferring w/ counsel. 4:25 p.m.: The next witness, Sandra Dowless, takes the stand. She is McCrae Dowless’ ex-wife and Lisa Britt’s mother. Sandra Dowless says McCrae was led a meeting in April, 2018, to help Jeff Smith with workers on his campain. Sandra Dowless says McCrae referred to the notes as his “insurance policy.” The writing in those notes matches the handwriting of Jeff Smith in a number of court records and other public documents. She says she doesn’t believe Smith and McCrae Dowless were working together in the ‘18 primary, and that she doesn’t know who the attendees of the April meeting were. 3:50 p.m.: Lisa Britt is excused and Kelly Hendrix is called as the NCSBE’s next witness. Hendricks says she worked for Dowless in the 2018 elections. After answering, she breaks into tears before NCSBE Director Strach can ask another question. Hendrix said she would collect ballots on her own and turn them in to Dowless. She said Dowless did not give her a set amount of money, but would gas and “things like that” as she collected the ballots. 3:15 p.m.: Britt says Dowless would meet with people from the Bladen County Improvement Association PAC (BCIAP) early in the morning and would close his office door when speaking to them. She says Dowless was making copies of forms collected by Wooten with BCIAP. When asked why Dowless was helping his Democrat-aligned competitor, Britt says, “That was kinda his secret weapon.” She says Dowless kept a list of whose ballots had been collected by BCIAP and who else to not target because they would be collected by them. Britt testifies that she “probably” picked up between 35 and 40 ballots. The unsealed ones she filled out, she says, were already filled out for Harris by the voter. She said the “big” races were almost always already marked by the time she saw them. 3:00 p.m.: Elias asks Britt about a meeting Dowless called after the November decision to not certify the District 9 election results. Britt again said Dowless told them to stick together and that he reiterated that he never instructed them to collect ballots. “Do you think it was fair to the candidates involved?” Elias asks Britt of her activities in the election. “No sir, I do not,” she replies. Harris’ attorney, David Freedman, then begins questioning Britt. He asks if she knew how the list of targets for absentee ballot request forms was generated, to which Britt says she does not. She also says she doesn’t recall it being broken down by Republican, Democrat and Unaffiliated. 2:45 p.m.: Britt says she’s aware of 5 to 6 people involved with working for Dowless. She says she doesn’t know who Dowless paid. Britt says she met Andy Yates one time when he came to Bladen County with Harris to deliver hurricane supplies, but she was unsure whether the two rode together or if Yates worked for Harris. She says Dowless would report to Yates numbers of ballots submitted by the Bladen County Improvement Association PAC. 2:30 p.m.: Elias now has Emma Shipman’s first affidavit on screen. Britt says she disputes Shipman’s statement that Britt said she was assigned to collect ballots from the district. She also disputes Shipman’s claim that her ballot was unsigned and unsealed. Elias is asks Britt if she returned Shipman’s ballot because of a complaint filed with the Bladen BOE. Britt says no. “The reasons were these were Lola Wooten’s people and I guess we were stepping on her toes,” Britt said. 2:15 p.m.: “Do I feel bad for him? I feel very bad for him,” Britt says of Dowless in response to questioning by Elias. Previously, she said she viewed Dowless as a father figure and didn’t think he’d have her do something that was wrong. Elias asks Britt if she knows for a fact that Dowless turned in all the ballots he collected. Britt replies, “Not to the best of my knowledge.” Elias reiterates if she knows for sure. Britt says she has no way of knowing for sure. Lisa Britt describes how she went around and got people to fill out absentee ballot request forms. Says forms were pre-filled. Says she helped fill out forms, along with others. Britt says Dowless maintained copies of forms in his office. 2 p.m.: Hearing reconvenes, with Dan McCready’s attorney Marc E. Elias now questioning Britt. The attorney opens by asking Britt whether Dowless knew Harris before the 2018 election. Britt testifies she wasn’t sure, but believed he did not. Elias then named a number of other Bladen County republicans, asking Britt if she knew them, to which she replied she did not. Elias walks back through Britt’s previous testimony, revisiting whether Britt collected more than one unsealed ballot from voters. Britt clarified that she filled out unsealed ballots collected by other people in addition to the one she collected. She acknowledged that she knew it was illegal. “Even when you knew it was wrong, you didn’t stop?” Elias asks. “No, sir,” Britt says. 12:45 p.m. - 2 p.m.: Hearing breaks for lunch. 12:30 p.m.: Lisa Britt says she collected ballots with Jennifer Boyd and took them back to Bladen County. Says they told Dowless how many they had picked up in Robeson County but says she doesn’t recall ever handing ballots over. Britt says many of the ballots Boyd collected were from her family. Says she collected ballots with Boyd three or four times. Says they stopped by Dowless home or office at the end of the day but doesn’t think Boyd ever showed Dowless the ballots. “I think Mr. Harris was completely clueless as to what was going on," said Britt. She says she met Harris several times. Once at the Peanut Festival and another after the hurricane when he delivered supplies. Says may have been on or two other public functions. 12:20 p.m.: Britt says she was in the car with Ginger Eason when she collected the ballot of her brother, Christopher Eason, and then filled it out. Eason has submitted affidavit that he gave his unsealed ballot directly to Dowless. Britt says she collected other ballots that were turned into the county BOE, per the logs. Ginger Eason has previously said public that she only turned ballots into Dowless but the log shows she turned in her brother’s ballot. As a close family member, Ginger is authorized to submit a ballot. Britt says she’s unsure whether Christopher Easton’s ballot was delivered to Dowless’ office before being submitted to the BOE. 11:40 a.m.: NCSBE Director Kim Strach shows Britt copy of an absentee ballot envelope for ballot cast by Emma Shipman. Shipman has previously submitted affidavit through NCDP. Britt is describing how Shipman came to vote. Says she signed/sealed it and gave it to her. Britt says she took Shipman’s ballot to Dowless. Then says Dowless told her to bring it back after he got a call from Horace Munn. Britt says Dowless held Shipman’s ballot for roughly a week when he gave it back to her to return to Shipman. 11:20 a.m.: Britt says she was paid to collect absentee ballots. 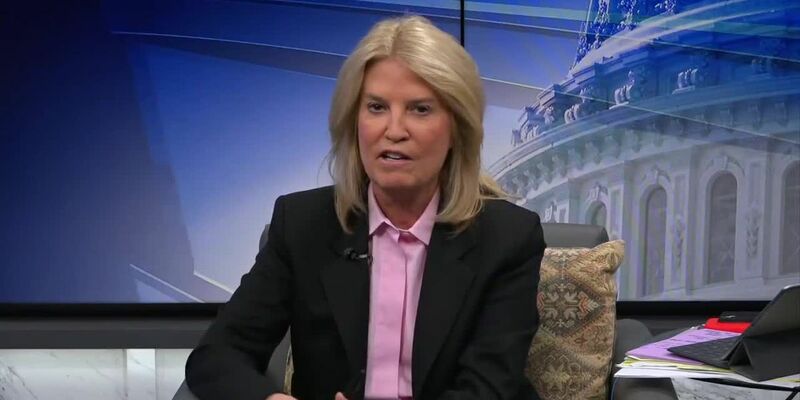 She claims if a ballot was properly witnessed, voters would submit it. Says they’d collect ballots if they needed more witness signatures. Britt says she was paid roughly $125 per 50 ballots at first and, later, flat fee of $200/week. Says getting ballots was harder than request forms because “a lot of people don’t want to give you their absentee ballot." 11:05 a.m.: Lisa Britt describes how she went around and got people to fill out absentee ballot request forms. Says forms were pre-filled. Says she helped fill out forms, along with others. Britt says Dowless maintained copies of forms in his office. She’s now listing off people who worked w/ Dowless to distribute request forms. Britt says she worked in Bladen, Columbus and Robeson Counties for Dowless. Says she heard some worked in other counties but isn’t sure. She says she was paid between $150-$175 for every 50 absentee ballot request forms. 10:50 a.m.: Lisa Britt is now on the stand as first witness. We spoke with her exclusively in December. Her interview is queued on the screens. Chairman Cordle now clarifying Britt is here voluntarily. 10:15 a.m.: NCSBE Director Kim Strach says she believes evidence will show a coordinated, unlawful absentee ballot scheme in Bladen & Robeson Counties. Here is scope of their investigation. “When you’re talking about an absentee ballot scheme, it’s not about just the ballots that have been returned but the ballots that weren’t returned” Strach says. During the hearing, Strach pointed out valid reasons why ballots may have not been returned, including Hurricane Florence. Strach says Red Dome paid Dowless $131,357 total in the ‘18 election and more than $80,000 in the general election. 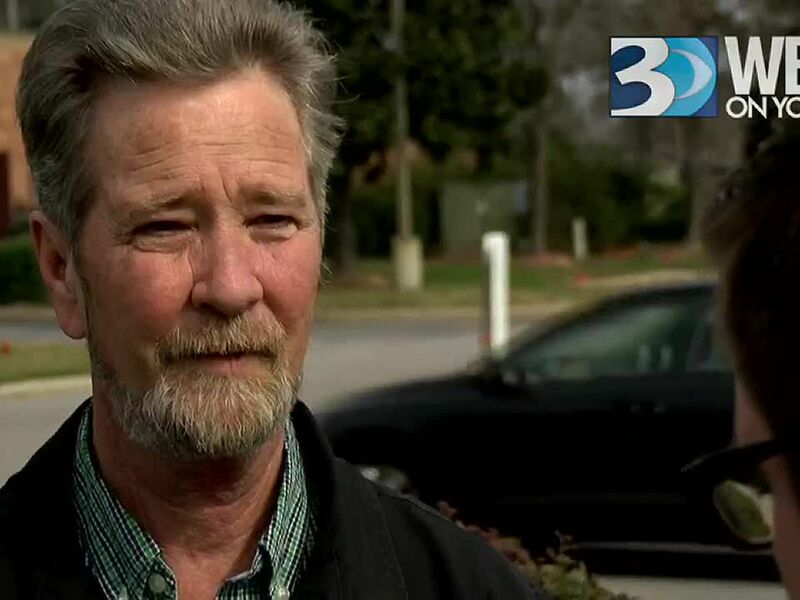 “McCrae Dowless hired workers he paid in cash to collect absentee request forms, to collect absentee ballots, and to falsify absentee ballot witness certifications,” a slide in Strach’s presentation read. Evidence suggests that small batches of ballots were taken to the post office and mailed at a location that was geographically close to the voter in an action to hide conduct. “The evidence will show that a coordinated, unlawful, and substantially resourced absentee ballot scheme operated during the 2018 general election in Bladen and Robeson Counties,” Strach’s opening slide read during Monday’s hearing. 10:00 a.m.: The North Carolina State Board of Elections hearing into NC District 9 irregularities is underway. Hearing room is about half-full. Witnesses are being kept in rooms down the hallway. Mark Harris & wife are in the room. Dan McCready is not. You can WATCH the hearing live on WBTV.com, follow reporters Nick Ochsner and David Hodges on Twitter and tune into WBTV on-air each night for the latest.